If you’ve ever gone shopping, you will know that the more sure you are about what you are looking for, the harder it will be to find. We all have an image in our minds of the decorating colors and styles we want in our home, and sometimes it can be hard to marry up those ideas to the paint samples we see on the shelves of the hardware store. Well don’t worry because if you have a color in your mind because you have seen a certain green in a leaf, a particular shade in one of your shirts, or have fallen in love with the colors your favourite magazine has used on its cover this month, then you can have this color matched, created and ready for you to put on your walls. 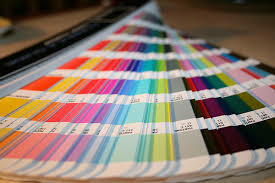 Often color matching technology can be done with any sort of sample, as long as it is flat, and no smaller than 3 cm2. Some paint manufacturers can even create a color based on the colour of one of their competitors so if you have seen the colour you want to paint with in one store but their paint was a poor quality, they were rude or expensive, take your color s ample to the store which is more convenient for you to use. This is also a great way to ensure that you match your paint colors to exiting wallpaper, wall art or furniture as you can color match your paint to the exact same color to ensure your decorating color scheme doesn’t clash.